Come capture this magnificent region with expert guidance from distinguished Nature and Wildlife Photographer, Artist and Author Fred Krakowiak during two back to back 7 night sailings along the north and south coast of Thailand for an unforgettable 14 night adventure! 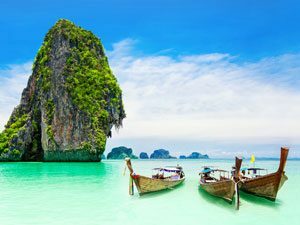 Home to picture-perfect white sandy beaches, intricately built temples, incredible street food, and a strong cultural heritage, Thailand is one of those places that has something for everyone. 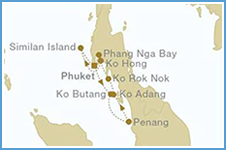 Whether you want to come here to experience more of its rich cultural heritage, explore its magnificent marine life, or simply to bask in one of their many beaches, Thailand is easily a favorite Southeast Asia destination. 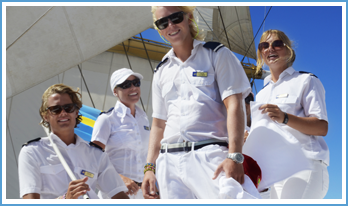 What better way to explore this paradise than floating along with the wind in the sails of a majestic tall ship! Here, the traditions of the past are happily married to the comforts and amenities of the present day. 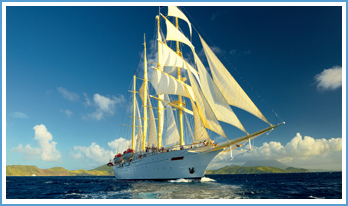 Star Clipper is a modern cruise ship in every way, focusing on providing a luxury experience while highlighting the traditions and romance of the legendary era of sailing ships. 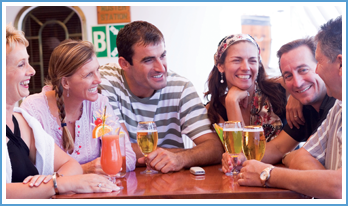 Star Clipper carries maximum 170 guests in pampered comfort. Life aboard is blissfully relaxed, much like traveling on a private yacht. The décor is reminiscent of the grand age of sail. Antique prints and paintings of famous sailing ships please the eye, while teak and gleaming mahogany rails are richly reminiscent of Star Clippers’ proud nautical heritage. Enjoy the fine public spaces with open-seating dining in an elegantly appointed dining room, the happening indoor-outdoor Tropical Bar and Piano Bar, two swimming pools and an Edwardian style library where a fireplace glows with a warmth that reflects the friendliness and enthusiasm of Star Clippers’ hospitable officers and crew. Exclusive for these sail dates: Attend complimentary informative on-board talks including hands-on instruction to enhance your photo skills while capturing the surrounding visual delights with your camera and your heart. Expand your perspective as Fred shares his awesome experiences, highly useful shooting tips and entertaining stories. 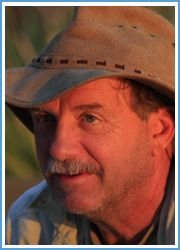 Fred Krakowiak, author of Africa: An Artist’s Safari ,The Artist’s Safari and Tracking your Inner Maverick is recognized as a leading wildlife artist, distinguished photographer and public speaker. His priority is to capture his experiences of seeing wildlife in their natural habitat, their motion, their passion to survive, and their place in the untamed world with his photographs and artwork. His photographs and art work is all about spontaneity and movement, as is seen with artist’s eye. He has exhibited his art and made presentations at numerous zoos and museums across the United States, Canada, Mexico and Africa. His artwork and photographs, commissioned by private collectors all over the world, can also be found on his website. Certain to be an unforgettable photographic, cultural, land and sea experience – not to mention a very fun and informative time with Fred! Kayaks, paddle-boards, and snorkel gear included! 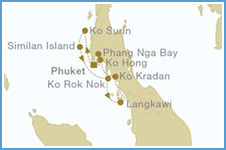 Scuba outings (available for extra cost) with on-board Certified PADI Dive Instructor. Crystal clear blue waters and brilliant coral reefs are home to giant Manta Rays, elusive Whale Sharks, Clown Fish (aka Nemo), turtles, eels and so much more contributing to one of the world’s most superb seascapes. Shore excursions led by professional guides include canopy jungle treks to remote waterfalls and visits to natural parks spotting exotic birds, monkeys, orangutans and elephants. Explore giant Buddhist temples, colonial settlements and museums and mesmerizing scenic points such as James Bond Island. Must be physically mobile as there are no elevators on board and many of the stops are via tenders or zodiacs. Join in and help to hoist the sails or sit back and enjoy the show! Expand your awareness while being immersed on one of the world’s most beautiful coastal regions on this intimate sailing experience. This extraordinary sailing vessel has only 85 cabins and will sell out quickly as this is a peak time period for exploring Thailand’s vibrant coast. Space is extremely limited – do not delay!